We’ve all seen science fiction movies set on another planet. Strange atmospheres and alien rocks are the common features. However, we now live in a day where we can see actual photographs of another planet. Today, the planet is Mars. This is thanks to missions like NASA’s InSight lander. 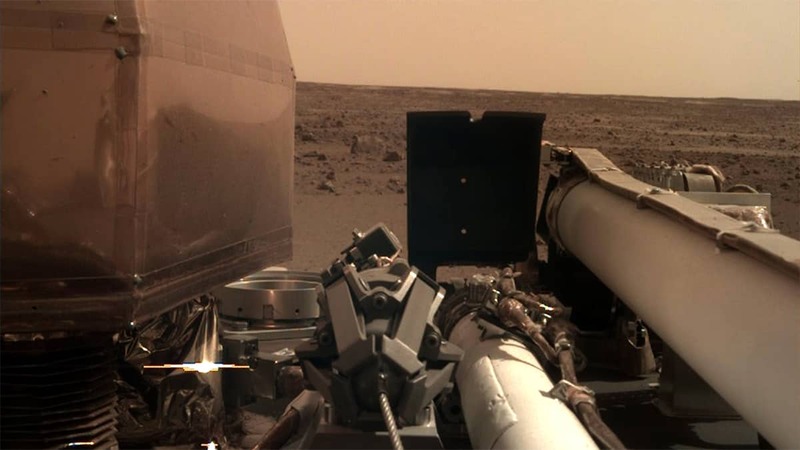 The robot that landed on Mars last night has sent back it’s first picture of the red planet’s surface. While it doesn’t show much, it’s still fairly mind blowing. The craft spent over six months to make the 484 million kilometre journey, and last night it broke through the Martian atmosphere at over 19,000 km/h. The landing was a stressful experience for all involved, especially Dr Katarina Miljkovic. As the only Australian involved in the mission, she was up late to watch the landing with fingers and toes crossed. She joined Mel and Jeziel to discuss the mission. Latest scoop: Christine made latest edition of Scoop!